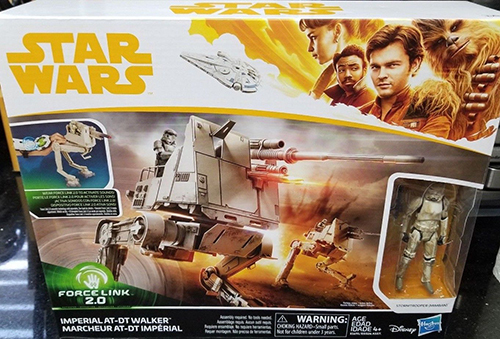 Rebelscum.com: Hasbro: New Star Wars Universe Force Link 2.0 Solo Vehicles! 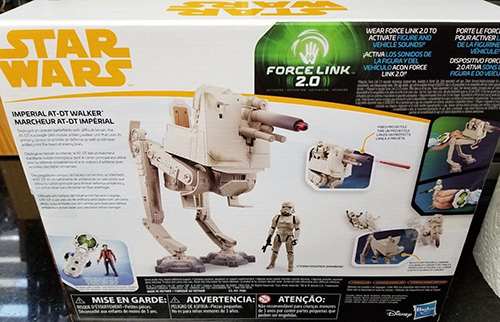 Hasbro: New Star Wars Universe Force Link 2.0 Solo Vehicles! 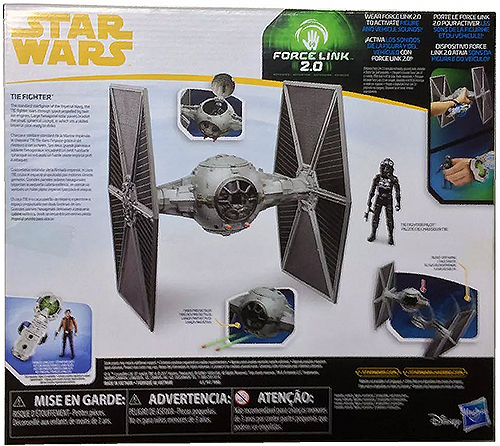 Fellow collector legacytoy is reporting that a new Star Wars Universe Force Link 2.0 TIE Fighter with TIE Pilot is being found at retail in Mexico. 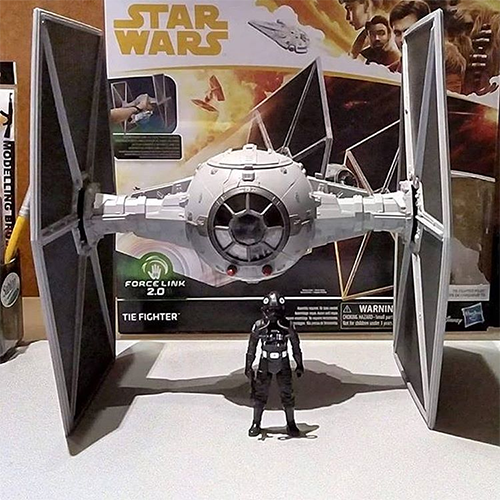 The included 5POA pilot figure looks to be the same as was included in the Rogue One TIE Striker, but with updated helmet deco. In addition to the pilot, the vehicle includes firing projectiles and a "Blast-Off Wing" feature. It has yet to be officially announced by Hasbro, so no word on North American availability. You can view a Mexican auction page here. Glimpsed briefly in Solo, the AT-DT Walker is the next Imperial vehicle to get the Force Link 2.0 treatment. 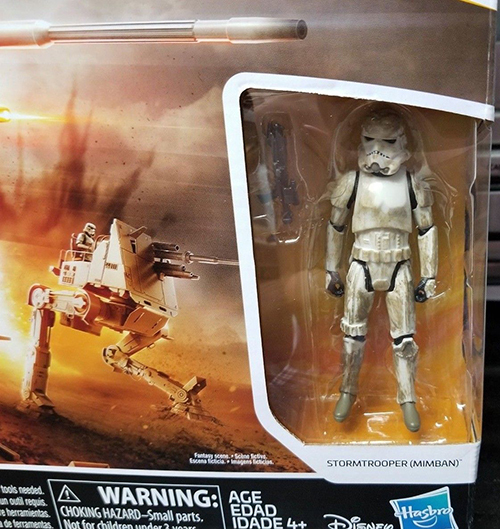 The set features a firing cannon and a Mimban Stormtrooper pilot. The included 5POA Mimban Stormtrooper is a different sculpt from the standard carded release. The body most closely resembles the Rogue One Stormtrooper with a new Mimban helmet. This set has also yet to be officially announced by Hasbro, so brick-and-mortar retail availability in not known at this time. Entertainment Earth has a pre-order page set up here, and the vehicle can be found on eBay. 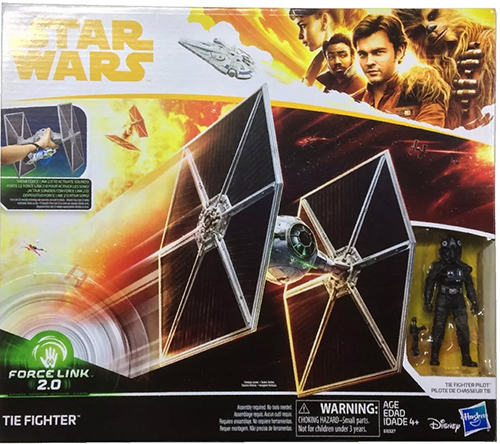 July 28, 2018 Hasbro: Force Link 2.0 Imperial TIE Fighter Hitting Canadian Walmart Stores!